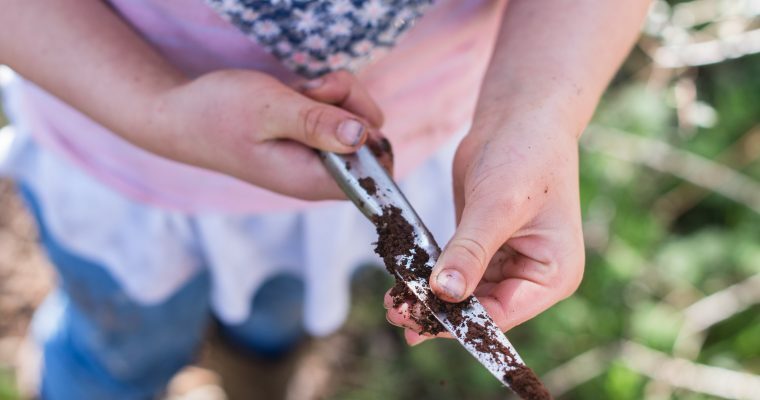 Regenerative Agriculture: The guts governing our food, health and future. Why healthy people, need healthy food from healthy soils. 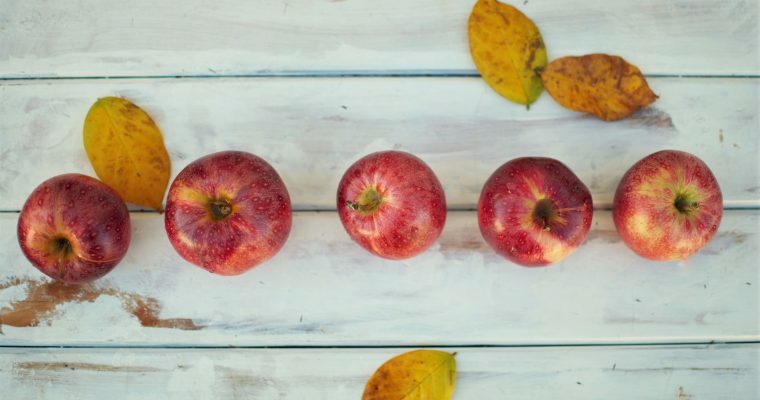 Captured over five years, the documentary ‘Edible Paradise’ travels to the four corners of Aotearoa – New Zealand, to meet local food campaigners instrumental in creating community orchard and food forest projects in their patch. Film Harvest presents the pick of the crop of alternative and arthouse films every Wednesday, in premium Cinema surrounds. Each week we deliver a different film to the big screen. Our four-week film programs are diverse and packed with entertaining, informative and artful films that wouldn’t ordinarily be presented in regional WA. Film Harvest is an independent organisation, partnering with regional businesses and engaging community to present an ongoing calendar of events. Through broadening the spectrum of movies available to regional audiences at local cinemas, Film Harvest provides a social platform from which to meet, share experiences and discuss film. Is Healthy Food Available and Affordable in rural Australia? A very special produce swap & share this month with special visitors from Eat The City who are in town for the Food For Thought Festival! Come along to our monthly Produce Swap & Share! All welcome, bring excess produce, seeds, seedlings, cuttings, jars etc. Anything a suburban gardener might want or need! Or just come along for some interesting conversation, local knowledge and information. Cups of tea and coffee provided but please feel free to bring along some morning tea to share. Participants are invited to draw and paint their idea of food onto large sheets of paper, and to talk about food and where it comes from, with the artist Elizabeth Pedler. What is it? What Real Food Looks Like is a festival stall and a free community art project, for Food For Thought Festival 2018. As part of ongoing project Eat the City, artist Elizabeth Pedler will be asking members of the community of all ages and all tastes, to draw or paint a large-scale representation of their idea of ‘what real food looks like’ onto sheets of paper. Participants are given free access to materials, as well assistance in making an artwork. The artist will be there to encourage participants with tips for drawing and painting, and most of all, to engage in conversations about food, local produce, the food industry, and how and where people find their food. Whilst drying, the paintings will be on display at the festival, broadcasting the message of ‘what real food looks like’. What do I need to bring? Only yourself, but be prepared to get a bit messy! 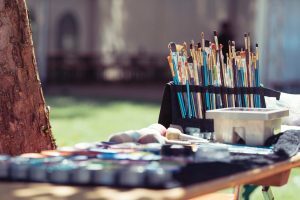 The stall will provide free access to materials (paper, plywood supports on easels, pencils, paint, and crayons) as well as encouragement and assistance for participants of all ages. The stall allows for multiple participants to take part simultaneously. Up to sixty paintings may be created during the festival! Who can participate? Anyone! You don’t need to be an artist, and there will be help there to get your vision onto paper. If you can hold a crayon or a paintbrush, you can share your idea of What Real Food Looks Like with the festival! This project is open to adults and children of all ages. Children must be supervised at all times. 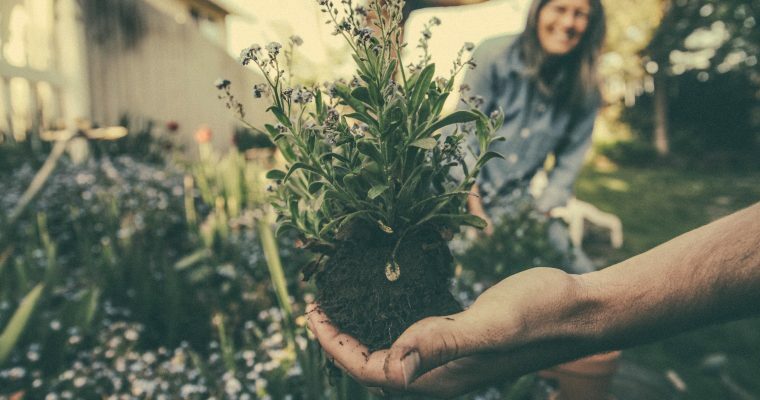 Wide Open Agriculture, invites you to an event showcasing the latest developments in regenerative agriculture investment at a local and global scale. Hear from industry leaders on impact investing and how agriculture is changing. The 2018 Food for Thought Festival will see a range of workshops being held by practitioners from across the region. Practitioners please register your workshop below. A timetable with confirmed workshops will be published mid September. 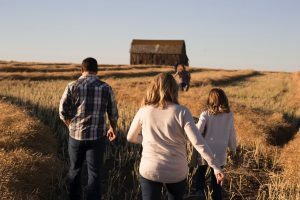 In today’s society we are increasingly disconnected from where our food comes from, how it was grown and the farmer who grew it. 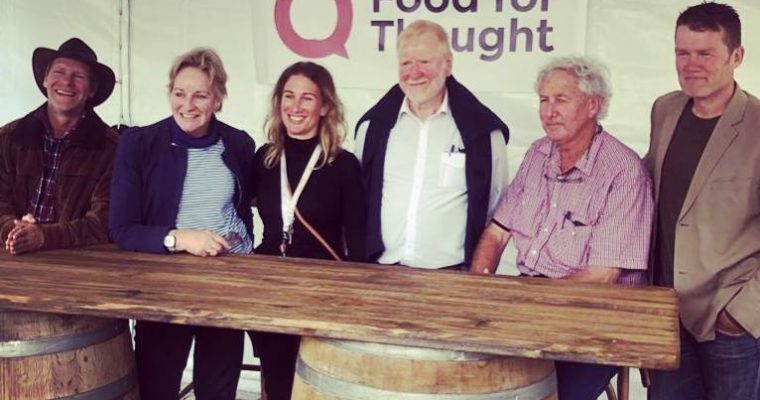 The Food for Thought Festival, now in it’s fourth year, brings consumers and farmers together and highlights the local food system of the South West. 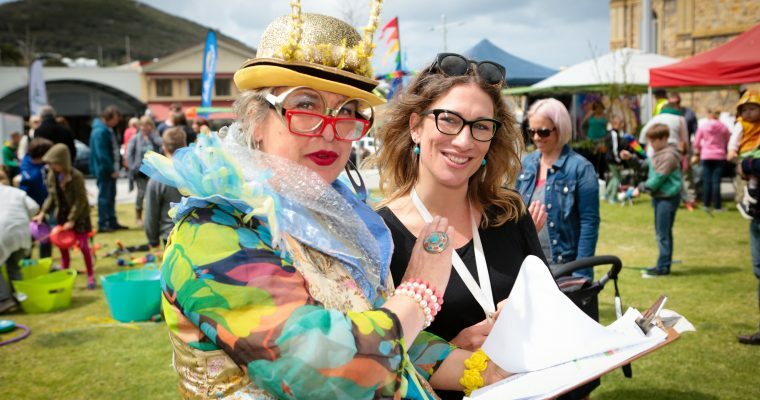 The festival promotes regenerative, healing and fair food systems, in an enjoyable, educational festive atmosphere that focuses on community connection. Food for Thought Festival founder and Sustain WA event director Evelyn Lee said “The festival aims to increase community awareness around food security, the impact of food systems on individual and community health, the importance of soil health to the health of people, animals and ecosystems and the benefits of biologically grown food for public health and nutrition”. During the festival the community is encouraged to celebrate what we do have: the people and products, whilst considering attempts to address faults within the existing food system and are invited to imagine creating a sustainable food future from existing possibilities. The festival aims to enhance knowledge in the region by featuring leading scientists, practitioners and experts in regenerative agriculture, soil and human health and sustainable food systems. This year’s speakers will include the author of Call of the Reed Warbler, Dr Charles Massy, Bio Integrity Grower Dianne Haggerty, Healthy Soil’s Australia Walter Jehne and Phil Lee, and Edith Cowan University medical and health sciences Professor Amanda Devine. 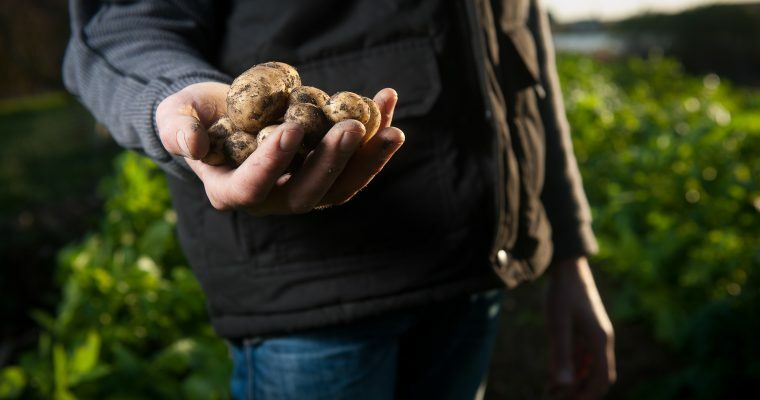 The topics covered will range from the health of farming landscapes to the health and wellbeing of the people who grow and consume the food produced within them. 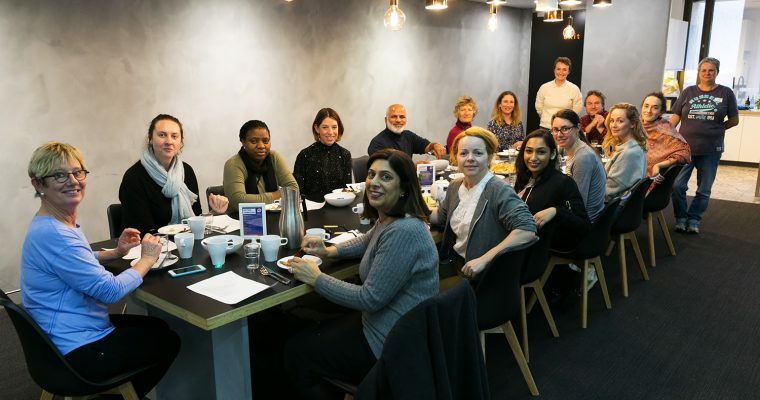 The dissemination of this knowledge is achieved in a pleasurable way, with talks, presentations and workshops interspersed with events such as a long table dinner, free children’s activities like gardening grubs and circus workshops, live music and a range of community stalls. 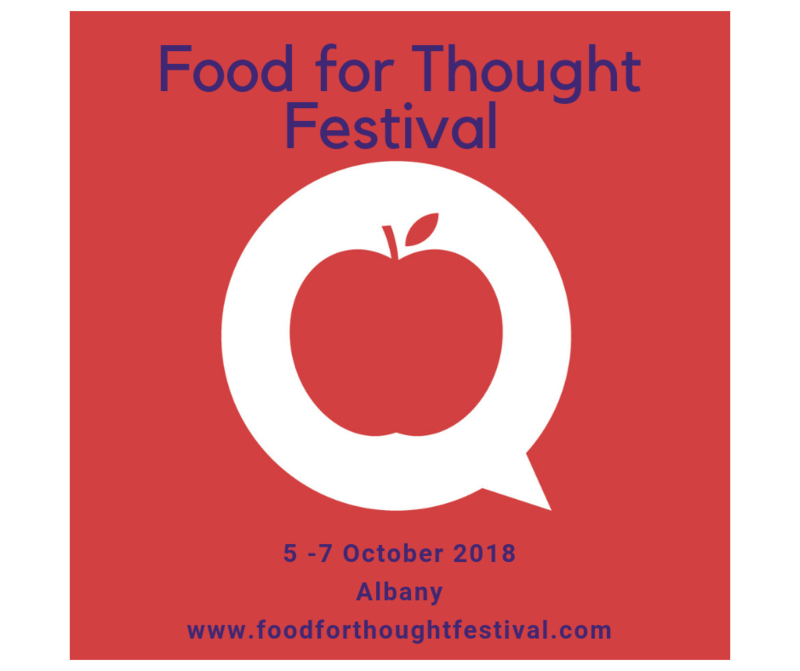 The 2018 Food for Thought Festival will run from October 5 to October 7 in and around Albany with the theme: Connection and Creative Solutions. It starts on Friday with a full day workshop, Regen Ag: The guts governing our food, health and future, at the White Star Hotel (Ticketed event). 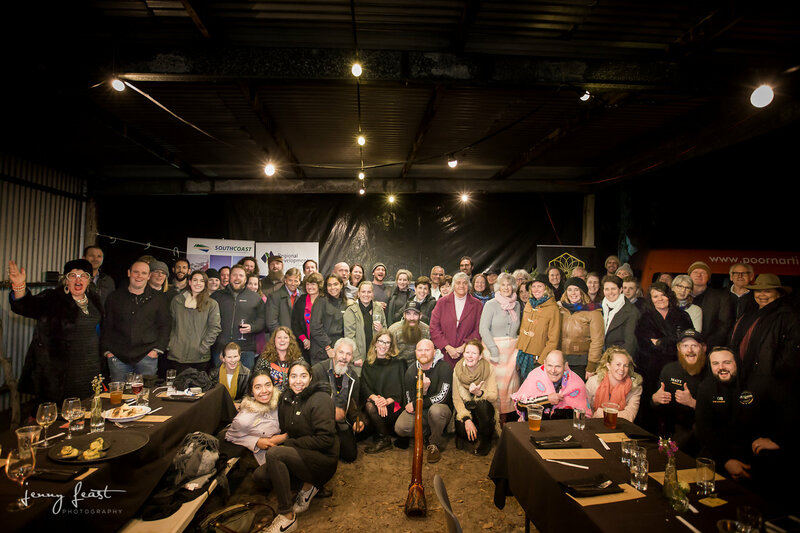 It continues on Saturday night with Fervor Australian Pop Up Dining experience at Alderton’s Farm in Torbay (Ticketed event), and culminates on Sunday with the ‘Food for Thought’ Community Festival! (entry by donation) from 10am till 3pm – an all-star cast of local food and beverage producers, live music, industry speakers, community groups and plenty of free entertainment for the kids. A range of “Thoughtful Food Spring Events” will run throughout October, activating the WA landscape towards healthy sustainable food futures. The full ‘Thoughtful Food Spring Event’ program will be announced mid September. For more information, including arranging interviews with guest speakers, contact Evelyn Lee. 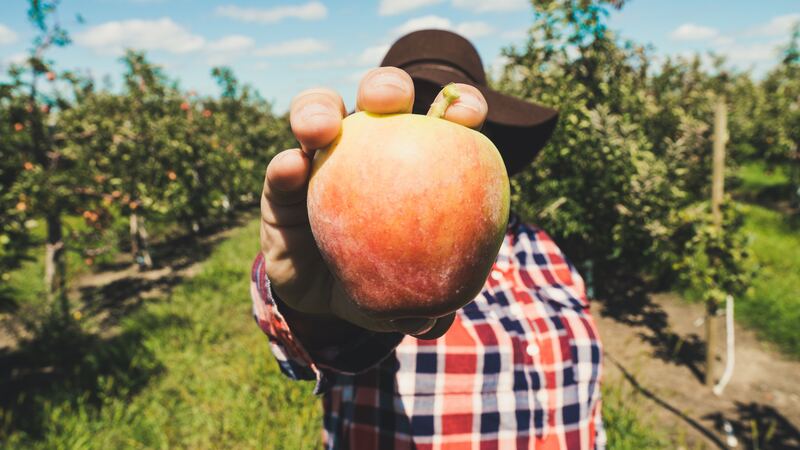 If you missed out last year…on Saturday October 6th we will be ‘Celebrating the Innovative Leaders of the Region’s Food and Agriculture Scene’ with a Fervor Australian Pop Up Dining experience! Venue: Torbay Agricultural Hall – off Hunwick South Rd, Torbay. We have a diverse line up of local speakers and this years guest speaker is Dr Charles Massy, esteemed author of ‘Call of the Reed Warbler – a new agriculture, a new earth‘. Enjoy a four course Fervor dinner with each innovator telling their story between courses. Tea and Coffee by Beck and Call. Fervor harness fresh ingredients, with a focus on locally sourced produce, presenting it in a unique location to create an unforgettable degustation dining experience. Crafted with passion and prepared before your eyes they bring out the taste and excitement of the region with each dish served. An Australian experience unlike anything you can imagine. Our field of Australian produce is ever expanding as we visit different regions, move with the seasons, gain knowledge and understanding and incorporate this into the experience that reflects “Fervor”. We recommend bringing warm clothing, suitable for being outdoors. Dietary requirements can be met, please advise upon booking.